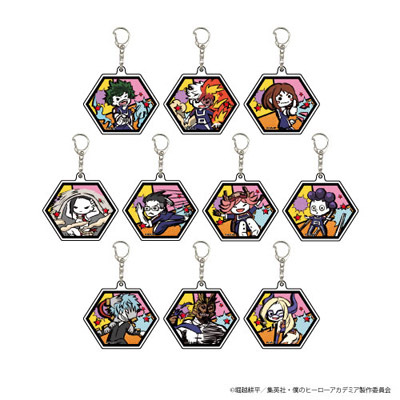 Ten keychains to collect in this new series of My Hero Academia trading figures. Keychains are random and packed 10 per case. If you order in quantities of 10, we will send you a sealed case (if available). However, full cases do not guarantee complete sets. One keychain per box.